Bullet Strike: Sniper PvP live now! 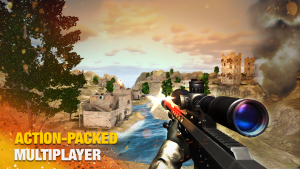 Bullet Strike: Sniper PvP brings you a unique, challenging survival experience while fighting with snipers all over the world. Enter the arena and enjoy every battle in this premier mobile experience! Get the game now for free and become the top of the Bullet Strike: Sniper Battlegrounds!